Now those native Cape-Tonians out there may know about the monthly madness that is first Thursdays but for the rest of you, let me spell it out: on the first Thursday of every month the young, the old, the hip and the hungry take to the streets and spend all of last months earnings. Being contained to the city center and surrounding Bree street, eateries stay open late, bars have discounts, pop-up galleries litter the streets and vintage markets inhabit every street corner. Before last week, I was a first Thursday virgin. I had always avoided it because of the throngs of people. I’m not a huge fan of crowds but I have to say I will happily endure it again next month. The general vibe of it is quite fun and Cape Town truly comes alive. I had no idea we had such a diverse and prolific art scene until last week. My main goal was to visit galleries; I can eat and drink every other night of the week (though I did a little of both as well). My first stop was the Youngblood Gallery on Bree street. A collaboration by a group of artists called Studio Clowder. This was one of the exhibits I was most impressed with, 4 floors of well-chosen and unique artworks all reasonably priced. Here I picked up a first Thursdays map, which they hand out at any of the larger galleries. These maps are so helpful as they give you a layout of all the galleries, food spots and shops that take part in the first Thursday extravaganza. Although I didn’t exactly follow the map it was helpful in finding my way. Once you start walking around you can find most of the galleries on your own because they are all clustered together. Another gallery I really appreciated was the SMITH gallery on Church street and their show “Calibrating wonder”. 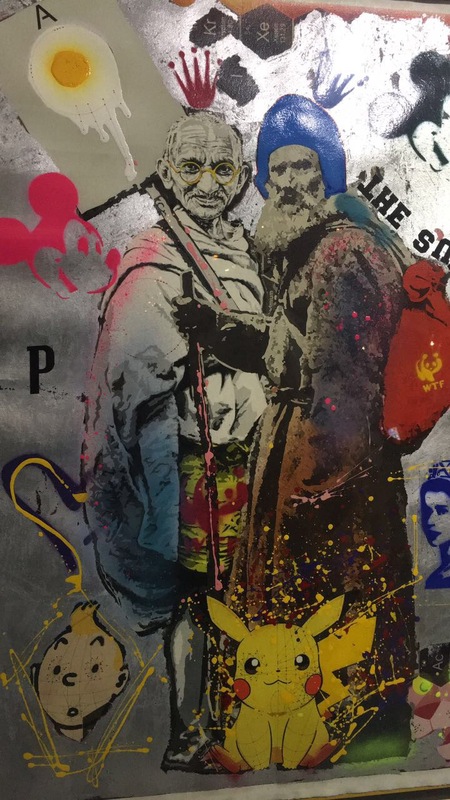 I was immensely impressed by the interactive pieces and the evident meaning behind each artwork. This exhibition really stood out for me but after about the 4th gallery they started to blend together. Having hit at least 8 galleries my feet were starting to throb and it was time for a drink. We hit the secret gin bar on Wale street located at the back of Honest Chocolate. Walking through the kitchens and into the underbelly of a chocolate shop to get to a gin bar makes you get a taste of what prohibition must have been like. 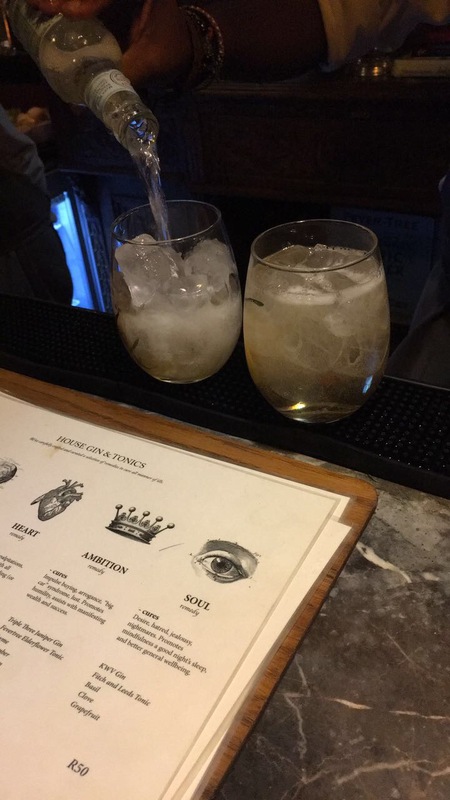 The cocktails, all gin based, are incredible at The Gin Bar. A limited but well formulated list of smartly named cocktails in a romantically lit bar that smells faintly of chocolate, what’s not to like. I had the “Heart” and was not disappointed. Strawberry, cardamom and rosemary taste incredible when doused in Inveroche gin. To end off a perfect evening I took a trip to Unframed Ice Cream parlour on Kloof street and treated myself to 2 scoops of heavenly delight. The Hazelnut-almond praline literally stopped my heart for a moment, that’s how good it was. In my opinion first Thursdays is an exceptional way to showcase Cape Town’s more cultural side and the whole experience has given me a new look at what this city has to offer. Not in Cape Town? Check out First Thursdays Durban.